Works by Nobuyoshi Araki, Henry Boyd, Edward Burtynksy, Slim Aarons, Larry Clark, Anton Corbijn, Patrick Demarchelier, Wouter Deruytter, Bob Grunen, Horst P. Horst, Paul Huf, Seb Janiak, Paula Klaw, Alberto Korda, Justine Kurland, David LaChapelle, Loretta Lux, Emiel van Moerkerken, Jean-Baptiste Mondino, Helmut Newton, Herb Ritts, Martin Roemers, Melvin Sokolsky, Starns Brothers, Yuk-Lin Tang, among others. T photography exhibition ‘Through the Looking Glass’, showing a fine selection of photos, taken from the 1940s until now. Opening on the 19th of January, the exhibition gives an overview of photography throughout the years. 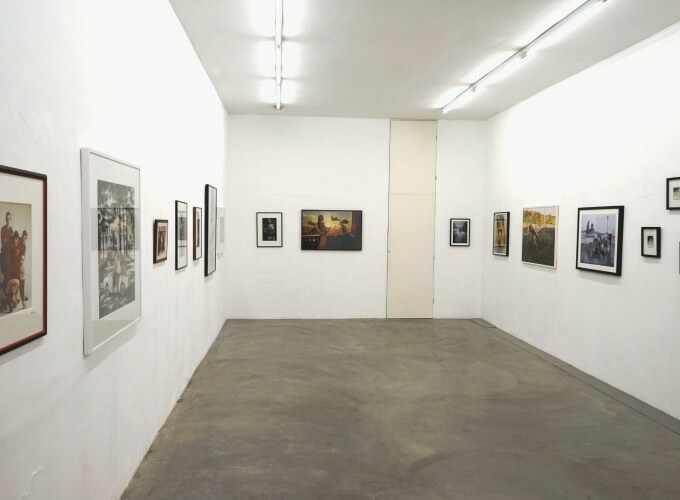 TORCH gallery has a long history with photography, being one of the first to present this medium as an art form in the Netherlands, back in the eighties. The photographed world is a strange place, like a looking glass world. While it is resembling our own world, things seem different than when they appear. To this day, this mystery remains the source of the mediums greatest power. In the beginning in the 1830s, photography was too new to be defined by definitions what it could or couldn’t be. It was anything that photographers wanted it to be, from high art to low commerce. Slowly definitions and distinctions grew up to confine photography in controlled channels. It was only in the 21th century when this hard-lined division of photography categories, like fashion, advertising, art or documentary, collapsed. Again, photography can be anything photographers want it to be. Photography was only accepted as art since the eighties, the same time TORCH gallery was established. Before this, papers like The New York Times would not list photography exhibitions because they thought it is not an art. Things changed and suddenly it was like a garden blooming with things all over. It started when teenagers, who grew up looking at picture magazines, grew older and graduated from buying reproductions of their favourite photographs to collecting the real thing. Photos that had been taken decades ago, were seen in a different light. In this exhibition, we show the many different types that exist in the world of photography, from the fashion photo by Melvin Sokolsky to the documentary photo by Alberto Corda, the portraiture by Anton Corbijn, the landscapes by Edward Burtynsky, the street photography by Wouter Deruytter and everything in between.